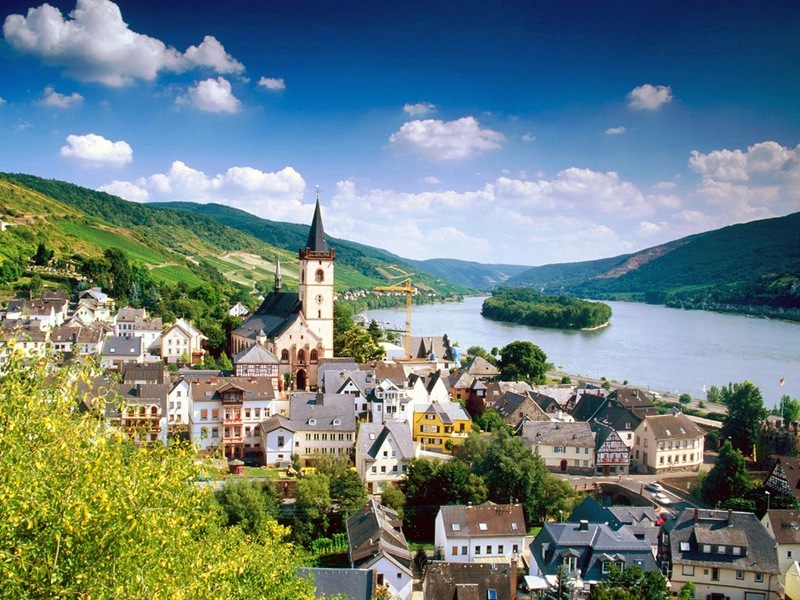 I have a crush on Germany. I’m not sure when it started; either with Bedknobs & Broomsticks or the blue German-English Dictionary I stumbled upon as a kid; shucks, it could’ve been Hogan’s Heroes (of which my only memory is that I know I watched it as a kid but couldn’t tell you any plot or character details). At some young age, though, I developed an affinity for the idea of Germany. I don’t remember what she said about it, but I do remember my mom talking about when she was a girl she and her family lived on a military installation in Germany for some amount of time; perhaps that’s a contributing factor. And then…hm…I need to be super careful about how I word this next part…. Then I learned about the Nazis – this may have come about through The Sound of Music as well. In Bedknobs & Broomsticks the Nazis threaten a small coastal town in England but are fought off by enchanted ancient suits of armor. Then, of course, there’s Indiana Jones and his run-ins with the regime. My first exposure to that was at a drive-in movie theater in Hawaii when Indiana Jones and the Last Crusade premiered. Up to that point, all I really knew about the Nazis is that they were bad for some reason. Something about them being huge jerks and trying to take over the world, oh, and this thing called the Holocaust where lots of Jews were killed. Well, to my 8-9 year old mind it didn’t really hit home what all that meant. My only education on the Nazis, up until then, was from what I saw in movies. I knew I was supposed to hate ‘em, so I’d boo them, but there was something…and…well, something kind of cool about them. They were cold, cunning, scary – something to be afraid of and even when you’re afraid of something, sometimes there’s something alluring about it – fear, after all, is based out of the unknown. So I wasn’t about to start drawing swastikas or anything on my trapper keepers, but there was something…. And then Schindler’s List hit theaters. Holy moley…I would’ve been about nine or ten at the time and…wow. I might have watched it again, in its entirety, but if I did it would have been in college. Actually, I think I’ve only ever seen the whole film once, and it was that time in the movie theater. It may have been the first time I cried in a movie. I remember being terrified during the scenes in which the Jews are rounded up in the ghettos, and some folks being shot for not doing some random, inane thing the way the soldiers wanted them to; for wanting to be treated like human beings. I remember the terrible sadness I felt seeing the little boy escape through the toilet only to find other kids hiding in there as well, and even though they were all trying to hide from the same bad guys they were none too friendly. Geez Louise, I’m getting misty just remembering the whole thing as I’ve not thought on these things in a while…. That’s when I finally understood why the Nazis were so evil and lost any and every shred of admiration I had for them. Thank God for education, eh? And up to this point, all from pop culture…hm. However, in spite of that, I knew the Nazis weren’t around anymore – at least not like that. I did see the Illinois Nazis in The Blues Brothers and was aware of skinheads and neo-nazis, but I knew Germany wasn’t defined by them anymore. I knew something about a wall in Berlin and it was a big deal when it came down, and then, and this is what sealed the deal for me, I got into comics and discovered one of my favorite superheroes was German. Enter Kurt Wagner, a.k.a. : Nightcrawler. He’s got dark blue skin, yellow glowing eyes, ninja turtle-esque hands and feet, a prehensile tail, and he can TELEPORT. I think he was also a monk(! ), so there’s the religious angle right there, too. And, of course, he’s part of one of the most powerful superhero teams in the universe: The Uncanny X-Men. He’s also one of the most underrated characters in the Marvel universe. Oh, and did I mention that German-English Dictionary was blue? 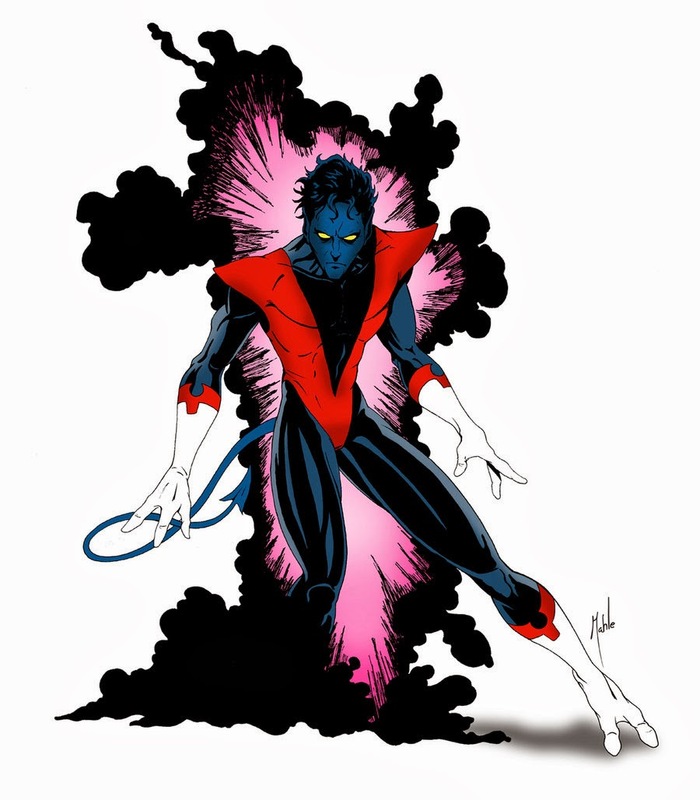 That is to say, Nightcrawler blue?? Now this may all seem like silly reasons to have a crush on a country, and while these things triggered and accelerated my affinity for this nation and culture, I have learned more about its actual history and actual culture and I still have a crush on it. I took three years of German in high school; my teacher was a lady who emigrated from Germany; she would tell us stories about her childhood, during World War II, and how sometimes there would be aerial dogfights over her house. I didn’t ace the class, but I still think with a limited German vocabulary sometimes. I love how it sounds; oh, and I know he’s Austrian, but Arnold Schwarzaneggar is pretty cool, too. Kindergarten Cop was a seminal movie for me as a youngin’. So now, after all these years, at the tender age of 33, my childhood dreams are coming true and I’m going to Germany for just under 2 months. I’ll be writing about my experiences here and sharing photos as I’m able. I should be able to swing a weekly posting schedule – either Saturdays or Mondays, I’m not sure, but for at least the next seven weeks, you’re invited to vicariously come along.